Of course they're not! Can you imagine how strange birds would look if they had their skeletons on the outside of their bodies, like butterflies do? Hmmm ... maybe I should try drawing that. 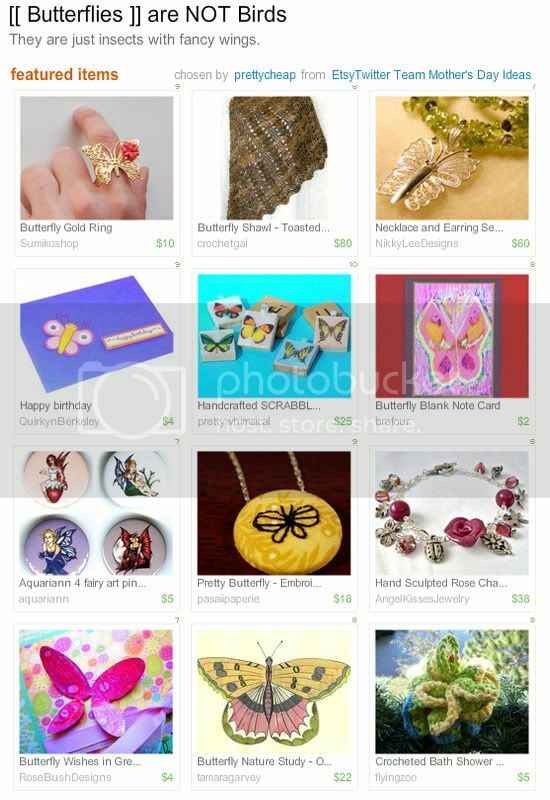 Anyway, my fairy pinback button set is featured in another fun EtsyTwitter Team treasury, chosen by prettycheap. *floats* Go see it before it flutters away on Friday, May 1st at 9:40pm.